Hmm don't remember well but I think there were three events which caused that. First one, the site was under attack and we lost a lot of stuff. Lot of members didn't come back after that. Then we had the change of address, which didn't help to get new members because we wouldn't appear among the first results when searching for a one piece forum. Last one was the discontinuation of the roleplay. So you are 19 or 20 now? What do you plan on doing after you have recovered? Other than becoming a father that is. Artists say creativeness is like a muscle that can be trained. I did mention wanting to make book scenes. My goal is to go digital after learning some fundamentals on paper. For example there is an artist, writer called Suzanne Helmigh and she is writing 4 books where every page has a page of art in it. She is making this all digitally, example images - https://imgur.com/a/FPavwpD. I think she already launched her kickstarter and was very successful and will print and ship books when they are ready. I'm not much of a writer but getting to making book scenes shouldn't be too hard over a big time frame. From my experience working 40 hours a week sometimes definetly feels like a prison sentence. So having a hobby is a must. What do you do with your free time? My drawing skills are basically non-existent since i only started recently, i'm just giving myself a time frame of about 10 years to see where it all goes. I like reading books so i would love to draw out my favorite scenes from a book. I'm not sure how life will turn out but i think i would like to keep drawing as a hobby. When you have to feed yourself and it becomes a job it will not be pleasant. However wages in my country are well below European standard wages (like 2-3x less) so if on my free time from work i can get paid above my wage (atleast 800 euros on part time) i'll probably become an artist lol. But even then it would have to be quite consistent paycheck. I read a statistic that said about 83% of artist in UK make less than 10k pounds when that's below their minimum wage of around 14k? So have to be quite realistic but you never know. Maybe at 40 or 50 haha. Life is interesting that way. You finished high school and went straight to work force without getting any other education? Man it's been too long since we talked. Life goes by so fast. I can't believe it's been 2 years already and even almost a month before i replied to you... I'm just working part/full time and trying to finish my bachelors degree, still have less than 1.5 years left to get a piece of paper. Recently i cut out video games and have picked up a productive hobby and i hope i keep at it. Life is good. Can't wait for the future and see if i can achieve my goals of making book art for fun. How about you? 11:57 AM - Blast mentioned Jam in post Who do you think snitched? 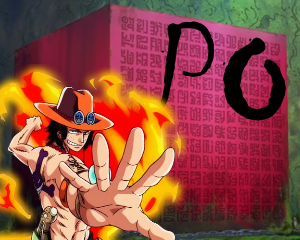 11:08 AM - Blast mentioned Alibaba Saluja in post Queen's Devil Fruit - The guessing game. 10:23 PM - Super Croc mentioned Blast in post Admiral level EoS? 09:48 AM - Blast mentioned Super Croc in post Admiral level EoS? 03:49 PM - Going Merry tagged Blast in thread Should I leave? Should I stay? Should I come back another day? 08:51 PM - Loni tagged Blast in thread OPD5: IT IS HAPPENING! - Sign Up Thread. 08:06 AM - Loni tagged Blast in thread One Piece Trivia Event! 08:41 AM - Loni tagged Blast in thread Favourite quirk? Awarded to the winners of the Text of the Week contest. Text of the Week #18 Winner! Text of the Week #17 Winner!